THE ONLY WAY TO GO. 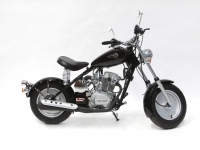 The SUPER COOL of motorcycles, the retro styled CALIFORNIA SCOOTER will suit all your riding needs. 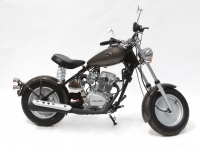 LAMS approved for "L"platers, powered by a 150cc engine, fully ADR compliant & fully registerable in every Australian state, this USA made motorcycle comes in 5 models. BABYDOLL - Princess Pink with silver pinstriping, stylish and great for the girls!!! 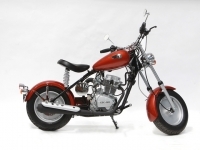 CLASSIC - Available in Red, Blue, Black, with new colours - Yellow, Burnt Metallic Orange, Ruby Red & Metallic Gun Metal Grey, this is a serious blend of high performance heritage and pure 2 wheeled fun! GREASER - Flat Black bodywork and blacked out engine & gangster white walls, this is the bad boy of the range. CAMMO & SARGE - Our 2 new Military models. Finished in flat camouflage paint with pack rack & fork covers included. ON ROAD COSTS ARE NOT INCLUDED. We stock the best range of accessories in Australia, come in and have a test ride!!! All California Scooter prices slashed! This great shot of a CALIFORNIA SCOOTER CLASSIC features some optional extra accessories such as a screen, rack, fringed seat, driving lights, white walls and more! All California Scooter prices slashed! The days of bare-primer Hot Rodding are back! All California Scooter prices slashed! 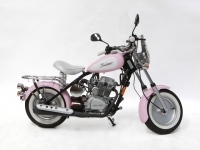 The CALIFORNIA SCOOTER BABYDOLL is a softer style with two tone Pink and White paint, enhanced with silver pin striping. All California Scooter prices slashed! All our CALIFORNIA SCOOTER CLASSIC scooter models have the same specifications, excepting for the colours - so take your pick and have fun! All California Scooter prices slashed! The CLASSIC black has the all around appeal of stylish colour and design. All California Scooter prices slashed! The CLASSIC CANDY RED has the all around appeal of stylish colour and design. All California Scooter prices slashed! The CALIFORNIA SCOOTER CLASSIC ORANGE is available in limited numbers. This shot shows an ORANGE CLASSIC with white wall tyres which is an optional extra. CALIFORNIA SCOOTER CAMMO - SOLD OUT!!!!! OMG, Sold out of this model!!! but contact us if you are interested. CALIFORNIA SCOOTER SARGE - SORRY SOLD OUT! OMG, this military inspired model is so new, we only have 1 in stock. All California Scooter prices slashed! CALIFORNIA CLASSIC YELLOW is THE fun colour for the Australian sun! All California Scooter prices slashed! 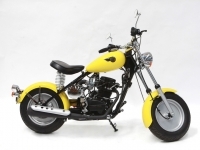 There WILL ONLY EVER BE 3 custom one-off painted CLASSIC CALIFORNIA SCOOTERS. Once these three different paint jobs go -THAT IS IT! Winter Wonderland Sale! All California Scooter prices slashed! FIRE ENGINE RED &BLACK - what a combo! 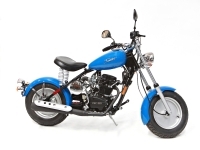 One of only three custom paint CALIFORNIA SCOOTER CLASSIC motorcycles.